Telltale Games has released the official trailer for Batman The Telltale Series Episode 5, the finale of their foray into the world of The Dark Knight! 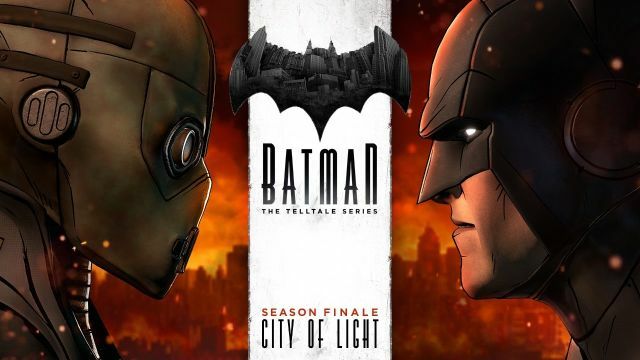 Titled “City of Light,” the episode will debut Tuesday, December 13 on PC, Xbox One, PlayStation 4, Xbox 360 and PlayStation 3, as well as compatible iOS devices via the App Store and Android devices via Google Play. Rendered to look like a living, breathing comic book, Telltale’s vision of Batman features an award-winning cast of talent, including Troy Baker in the role of Bruce Wayne, Travis Willingham as Harvey Dent, Erin Yvette as Vicki Vale, Enn Reitel as Alfred Pennyworth, Murphy Guyer as Lieutenant James Gordon, Richard McGonagle as Carmine Falcone, and Laura Bailey as Selina Kyle.